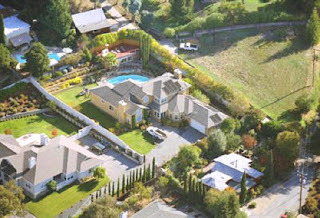 RENTED for $6,000 this July 2010 in San Rafael is this gorgeous 4bd + guest house home with a pool. We marketed the home as a lease option, and while we didn't sign a proper lease option, the tenants are living here with an eye towards buying. Thank you to the owner - a friend, neighbor and excellent landlord! And thank you to the tenants for falling in love with the house the moment they set foot on the grounds! Looking for help with your San Rafael rental home? My team and I are local Marin rental agents and we only do rentals! Call our Kentfield office anytime: (415) 507-9600.